When Diane Hannaby was given the devastating news that her son, Ashley, had died suddenly at the age of 34, she was heartbroken. Having battled various forms of cancer for the last six years, she’d suffered her fair share of trauma. But worse news was to come. Deteriorating health Diane’s ordeal began when she decided to move from her home in Northampton to Weymouth in Dorset in August this year for health reasons. 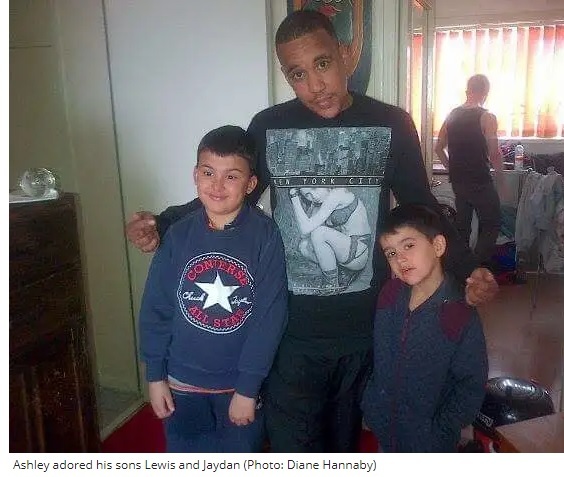 The mother-of-two – who has another son, Connor, 23 – was diagnosed with breast cancer in 2012 and had to give up work as a cleaner supervisor and claim Employment and Support Allowance (ESA) and Personal Independence Payment (PIP) as she underwent chemotherapy and radiotherapy. 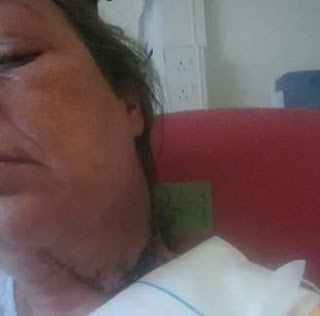 More health problems followed when Diane was diagnosed with neck cancer in 2016 and had to have radiotherapy, then suffered a collapsed lung. 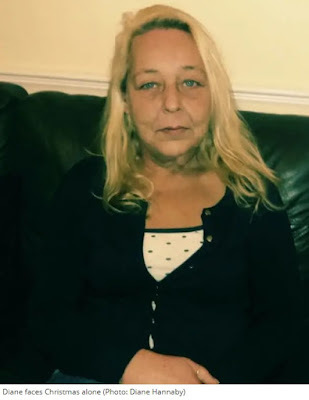 “The Department for Work and Pensions (DWP) told Diane she would have to switch over from ESA to Universal Credit in order to get help with her housing costs. This meant that instead of receiving ESA and housing benefit separately, both her rent and living expenses would be covered by one payment of UC. Diane says she was told the transition would be “smooth and easy” and all she had to do was answer a few questions over the phone and her benefits would be swapped over. “I thought I’d get the same amount I was getting before when I lived on my own or even more as my rent was higher in Weymouth,” she said. “But I ended up with less.” Diane said she was left around £130 out of pocket each month and struggling to make ends meet. 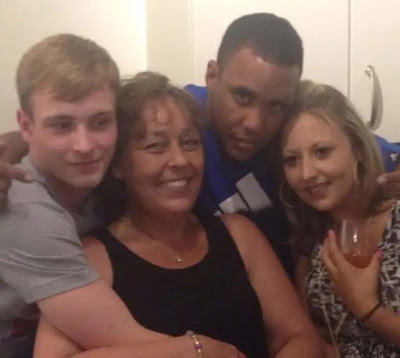 ‘I felt financially and emotionally broken’ Diane Hannaby Diane was told that the cause of death wouldn’t be given until Ashley’s inquest, due to take place in the next few weeks. So she had to focus on putting her son to rest and set about arranging his funeral. Devastating time With no money to pay for it and now struggling on Universal Credit, she had to apply for a Funeral Expenses Payment, which is meant to help those who can’t afford to pay for a funeral with burial or cremation fees, travel to and from the funeral, the cost of moving the body, death certificates and up to £700 for other expenses such as the coffin. But Diane was told by the DWP that she would have to wait between six to eight weeks before she would be allocated any funds. And even then, she was only given £1,499 – leaving her with a £900 deficit to pay herself. 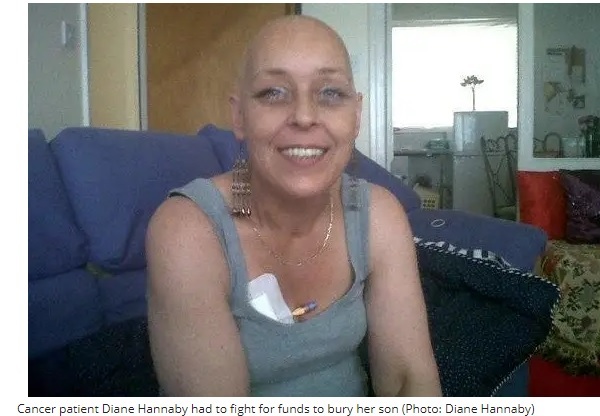 “The cheapest place I could find that would arrange the funeral charged £2,399 – most places charged between £3,000 and £4,000,” Diane recalled. “I chose the most basic coffin and only wanted a few flowers – nothing fancy. “Because I’d only had one payment of Universal Credit by then, I was classed as being newly on benefits, even though I’d claimed ESA previously for years. It meant I had to wait until after my next payout to claim for the funeral costs – eight weeks in total for them to make a decision and unable to bury Ashley all that time. I was financially broke by then and emotionally broken too,” Dianne added. “I was staying at Ashley’s ex’s house in Northampton as I didn’t want to leave the grandchildren, who were devastated. I also didn’t want to be too far away from Ashley. It felt like I’d be abandoning him if I went home and left him in that morgue but waiting around and not being able to give my son a funeral only prolonged my grief.” Read more on funeral costs: Funeral price war intensifies as Co-op launches “price beating” pledge After finally being granted £1,499, Diane had to borrow money from friends and relatives to scrape together the remaining £900 she needed. “It wasn’t easy but I managed it and eventually, we had the funeral on 16 November,” she said. “It helped to finally say goodbye to Ashley but I felt so angry that I’d had to leave him for so long. At least now he can rest in peace.” But the stress of the ordeal has taken a further toll on Diane’s health. She’s developed several ear infections and fears she could suffer another heart attack. “I am in about £3,000 debt in total,” Diane explained. “I had to borrow £950 for a deposit on my council flat, which I have to pay back to the council, then my first month’s rent, then another £900 for the funeral costs and apparently I need to pay back some of my ESA too. I have no idea how I’m ever going to pay it off.